SafePro has a great solution to ensure the safety and health of your employees and staff. Roof Hatch Access Doors provide convenient, cost-efficient rooftop access, allowing for ladder and stair access to the roof from the interior of the building. SafePro’s Roof Hatch Access Doors are designed and engineered for use over roof openings and are secured from the base flange to the roof for superior durability, energy efficiency, safety and ease of installation. The SafePro Automatic Roof Hatch Opener will automatically lock/unlock, open/close and latch the roof hatch door from the ground floor. The roof can be accessed by entering a code into the keypad or by remote control. The system can also be wired into a security system making access available with a security key card or access code. The user’s name, time and duration of access are tracked, increasing safety and security. Our ballasted, non-penetrating steel bases are built to last and will not void existing rooftop warranties. The bases are stackable, making them easier to move and store. The SafePro Automatic Roof Hatch Opener system includes a handheld remote, keypad & there is also an optional backup battery available. For your convenience, when you order BOTH a SafePro Automatic Roof-Hatch Opener AND a SafePro Roof-Hatch at the same time, you have the option of purchasing our pre-assembly service. 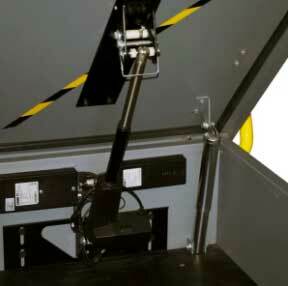 SafePro will install your Automatic Roof-Hatch Opener to your new SafePro Roof-Hatch before we ship it to you. Taking appropriate fall protection measures to prevent Falls through skylights or other roof openings reduces risks and saves lives. Re-roofing exposes workers to the hazards of demolition work at heights. With the proper fall protection, the risk of serious falls can be substantially reduced. OSHA recommends using a guardrail system, a personal fall arrest system (PFAS). Even experienced roofers are exposed to unpredictable fall hazards caused by uneven sheathing, sudden gusts of wind, loose roofing materials, and surfaces that become slick when wet. Workers replacing roofs risk permanent injury or death from falls while they demolish old roofs and install new roofing material. Employers are responsible for ensuring compliance with applicable OSHA requirements to assure safe and healthful working conditions for working men and women by setting and enforcing standards and by providing training, outreach, education, and assistance. SafePro Automatic Roof-Hatch Opener system includes a handheld remote, a keypad, and an optional backup battery is also available for purchase. For your convenience, if you are ordering BOTH a SafePro Automatic Roof-Hatch Opener AND a SafePro Roof Hatch at the same time, you have the option of purchasing our pre-assembly service. 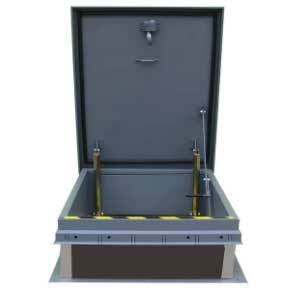 SafePro will install your Automatic Roof-Hatch Opener to your new SafePro Roof-Hatch before we ship it to you. 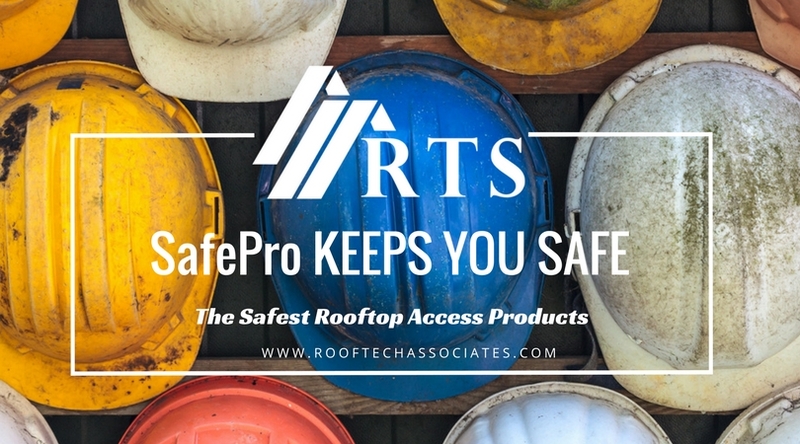 Roof Tech Associates, Jim Gory, is your SafePro expert and can help you decide exactly what is needed for your building project. Call Jim at 407-342-4282, jim@rooftechassociates.com.